As a Task Force comprised of both Building and Affiliate Members, we understand the dynamics that are necessary for both types of members to enjoy their day of putting in the sun. That is why we are very excited in planning the upcoming 15th Annual Golf Classic, presented by Comcast Business. 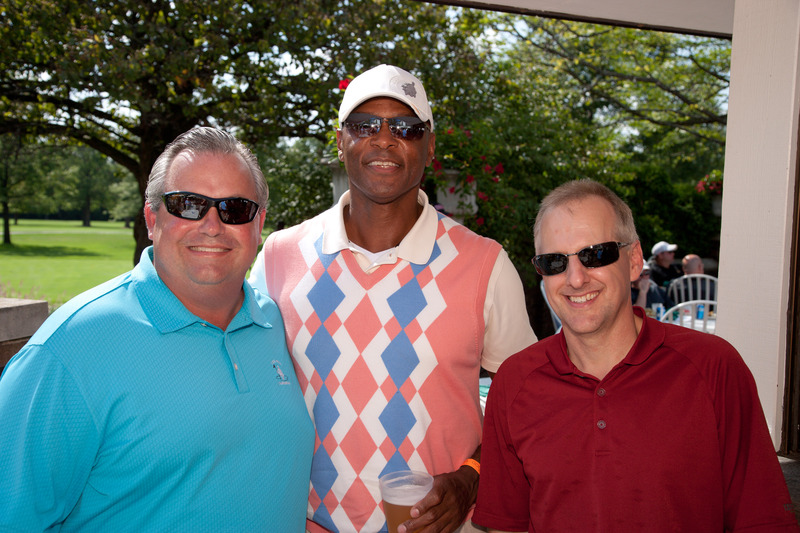 What we all love most about the BOMA/Chicago Golf Classic is that we can spend the day catching up with colleagues, networking and building relationships within a fun and casual setting. Instead of sitting in a board room with our game faces on, we are able to relax and let our guards down on the green. And sometimes, formality just needs to be broken in order for you to drive home that sales pitch or for you to consider hiring a new vendor. This is the beauty of the Golf Classic – breaking down the barriers of conventional business and unifying all members. Just like a game of golf, business relationships take time. A conversation now may lead to a business deal down the road. But when Building Members need janitorial services or a new set of phone lines, they flash back to that par 3 hole or that golf cart beer and remember the Golf Classic sponsors who they shared a laugh with. Over 300 BOMA/Chicago members attend the golf outing each year, giving Affiliate Members the opportunity to hear about the needs of a diverse set of Building Members. And if you are a Building Member, you can learn about the various services Affiliates will provide to enhance your buildings and the livelihood of your tenants. During a day filled with fun, drinks and friendly competition, both sets of members will gain insight into each other’s needs and services. This kind of candid conversation is not shared over the phone during nine to five or over lunch at the steakhouse. It’s shared over an Arnold Palmer and under some bucket hats. Attendee registration will open on July 1, so save the date and start shining your clubs! This year’s event will feature new and interactive ways to win prizes and new types of sponsorships that will help your brand stay in the minds of guests. Over 40 sponsorships are currently available and as half of this Task Force is comprised of Affiliate Members, we can attest to the true value of buying a sponsorship. Once you become a sponsor, BOMA/Chicago hits the ground running in promoting your brand to thousands of CRE industry professionals via multiple marketing channels. The brand awareness BOMA/Chicago provides is worth the money alone. But you will get an even bigger bang for your buck as you directly network and interact with your target audience on the green. The 2013 BOMA/Chicago Golf Classic will be held at the beautiful Cog Hill Golf & Country Club on Thursday, August 15, bringing all of you together for a fun-filled day of golf, networking and the opportunity to win amazing prizes during the raffle at the Golf Classic dinner. If you would like to become a sponsor, please contact Paul Jost at jostp@bomachicago.org or by calling 312-870-9609. See you on August 15 and remember to bring your business cards and your sunscreen! This entry was posted in BOMA/Chicago Events, Chicago CRE Industry, Chicago CRE industry and philanthropy, Chicago Events, Uncategorized and tagged 15th Annual Golf Classic, 40 sponsorships available, Affiliate Members, BOMA/Chicago building members, BOMA/Chicago Golf Classic, building and affiliate members, Cog Hill Golf & Country Club, Comcast Business. Bookmark the permalink.